U.S. stocks advanced on Aug 17 following reports that President Trump and China's president Xi will hold trade discussions in November. For several months now, trade tensions are threatening to derail the Chinese economy and ruin the U.S. growth momentum. This is why any encouraging news on this front eases investor tensions. Additionally, Trump's top economic advisor Larry Kudlow has confirmed that trade talks with China will resume later this month. Stocks of companies affected significantly by U.S.-China trade tensions should gain from these developments. Adding them to your portfolios makes for a prudent choice at this juncture. According to The Wall Street Journal, negotiators from the United States and China are working to create a roadmap for trade talks. These discussions will culminate in a series of meetings between Trump and Xi at multilateral summits in November, according to officials from both countries. In fact, mid-level discussions should commence in Washington next week. China's Vice Commerce Minister Wang Shouwen will lead a nine-member delegation which will hold talks with a team of U.S. officials, headed by the Treasury undersecretary, David Malpass, on Aug 22 and 23. Reportedly, President Xi has instructed officials to work toward normalizing U.S.-China relations quickly. An extended phase of tensions with the United States would impede the Chinese leader's plans to transform his country's economy and make China a global superpower. On Aug 16, Trump's top economic advisor Larry Kudlow confirmed to CNBC that trade talks between the United States and China would resume this month. However, Kudlow emphasized that President Trump is insistent that his administration should get a good deal. At this point, there are two different viewpoints on how to take negotiations with China forward. Kudlow, who heads the National Economic Council and the Treasury have prepared a curtailed list of demands for China which they believe could lead to a successful agreement. 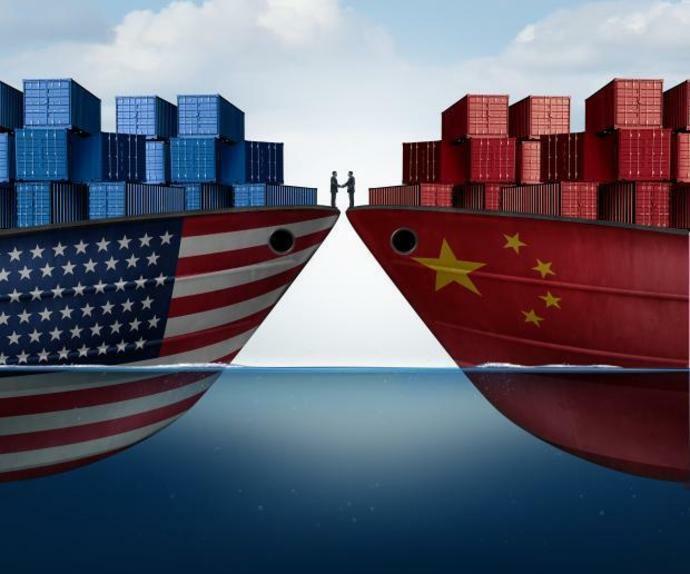 However, officials at the U.S. trade representative's office, which oversees tariffs, think negotiations should not be pursued at this juncture. The imposition of further tariffs could increase the United States' leverage by October, they believe. Several indications have emerged that the United States and China will resume trade talks later this month. These discussions would culminate in meetings between the countries' presidents in November. Though differing viewpoints exist within the Trump administration on how to proceed with talks, the willingness to find a solution to this lingering trade dispute is an encouraging sign. In such a scenario, stocks of chipmakers, multinational industrials and basic materials stocks whose costs have been inflated by the trade conflict should benefit. Picking these stocks looks like a smart option right now. However, choosing winning stocks may be difficult. Caterpillar Inc. CAT generated nearly 21.5% of its revenue from China in 2017. Any retaliation from that country in the form of tariffs would affect its top line significantly. Additionally, steel and aluminum tariffs have raised its costs. Caterpillar sports a Zacks Rank #1 (Strong Buy) and VGM Score of A. The company has expected earnings growth of 67.7% for the current year The Zacks Consensus Estimate for the current year has improved by 7.3% over the last 30 days. Celanese Corporation CE announced on Aug 16 that it was hiking prices of its engineered materials polymer products. This was an effort to deal with rising input costs following the imposition of a 25% tariff on Chinese products. Celanese has a VGM Score of B. The company has expected earnings growth of 40.8% for the current year. The Zacks Consensus Estimate for the current year has improved by 10.8% over the last 30 days. The stock sports a Zacks Rank #1. You can see the complete list of today's Zacks #1 Rank stocks here. Micron Technology, Inc. MU derived 50% of its revenues from China in 2017.Prolonged tensions with China could harm the stock significantly. Micron has a Zacks Rank #2 (Buy) and VGM Score of A. The company's expected earnings growth for the current year is more than 100%. The Zacks Consensus Estimate for the current year has improved by 0.9% over the last seven days. QUALCOMM Incorporated QCOM derived 63% of its revenues from China in 2017.Prolonged tensions with China could harm the stock significantly. QUALCOMM carries a Zacks Rank #2 and has a VGM Score of B. The Zacks Consensus Estimate for the current year has improved by 15.3% over the last 30 days. Skyworks Solutions Inc. SWKS derived nearly 80% of its revenues from China in 2017. An extended phase of trade tensions with China could grievously harm the stock. Skyworks Solutions carries a Zacks Rank #2 and has a VGM Score of B. The company has expected earnings growth of 2.4% for the current year. The Zacks Consensus Estimate for the current year has improved by 4.3% over the last 30 days.